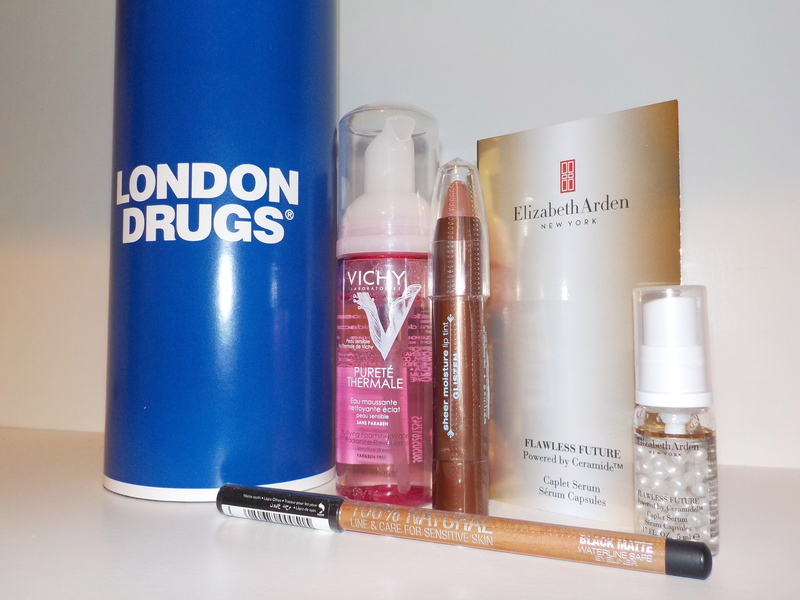 For my Topbox this month, I received the London Drugs (regular) box. As I recall in the wishlist, there was a section to check off if you lived near a London Drugs and I guess I lucked out by getting this one. – Though I usually wear liquid eyeliner, this one seems promising as it states that it is “100% natural” and good for sensitive skin and safe lining the waterline. I will soon be trying this out and seeing how smoothly and how long it lasts. – I have been loving lip crayons these days as they are easy to slip into your purse and you don’t need to sharpen them. The colour I received is a nice shade for the fall. It is a mauve-pinkish colour that glides on smoothly and doesn’t leave that tight, drying feeling on your lips. – I have never tried a foaming cleanser before, but as I have read on previous reviews, this one tends to dry your skin out. I currently use the Boscia Purifying Cleanser Gel and would hate for my skin to flare up if there is a chance that the Vichy water will do so. So, I am unsure if I will be trying this product out. – This serum helps to “reinforce the skin’s essential moisture barrier, even skin tone, retexturize, and reduces the appearance of first signs of aging.” When you pump the serum, the caplets and gel combine into a serum. Not entirely sure if I need this kind of product in my skin regimen yet, but the concept is neat. This was a decent box this month compared to previous ones. I do like the fact that I received 3 full size products, two of which I will be using for sure. What did you receive in your October Topbox? What are your thoughts?